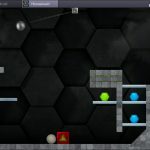 Hexasmash is the follow up in a family of brain-bending puzzle games from the developer… this game ups the ante with the skill of precision timing. The premise is to break all hexagonal shaped gems scattered about in the fewest releases of a swinging pendulum. Sounds easy enough, right? Let’s delve into the review because you’ll be eager to play! Minor: there is no penalty for exceeding far beyond the target tries. It would be more challenging if you had infinite attempts. 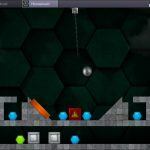 In Hexasmash the goal is to smash all hexagon shaped jewels in as few moves as possible. 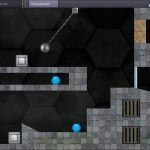 You have to complete the level in the designated target number, however, there is no penalty if you exceed it terribly. There is a pendulum swinging from a chain you must use perfect timing to tap and release the wrecking ball. 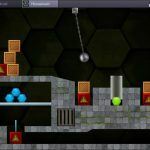 There are plenty of obstacles to thwart your goal such as fitting in tight tunnels, breaking glass & bricks, bouncing off of trampolines, or ricocheting the ball as a projectile off explosives. To complete a level, at minimum you need only to destroy all blue gems. However, you can unlock hidden stages every 6th level by obtaining all green gems preceding it. The game is all about precision timing. Releasing a micro second to early or late can mess up your plan of attack. The physics in the game feel true and accurate. There is a fair amount of strategy you must employ to score well. My personal tactics include going after the green jewel first as it is most difficult and always resides in near impossible places. After breaking it in (hopefully one try) then I attempt the others in as few releases as possible. 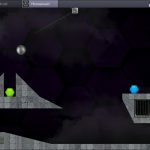 Hexasmash is a cunning physics puzzler to exhibit great timing to release a swinging wrecking ball- eliminating all jewels in as few moves as possible. It’s an easy to play puzzler that’s hard to master. 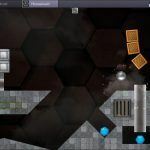 BlueStacks is the best way to play Hexasmash on PC… download now!